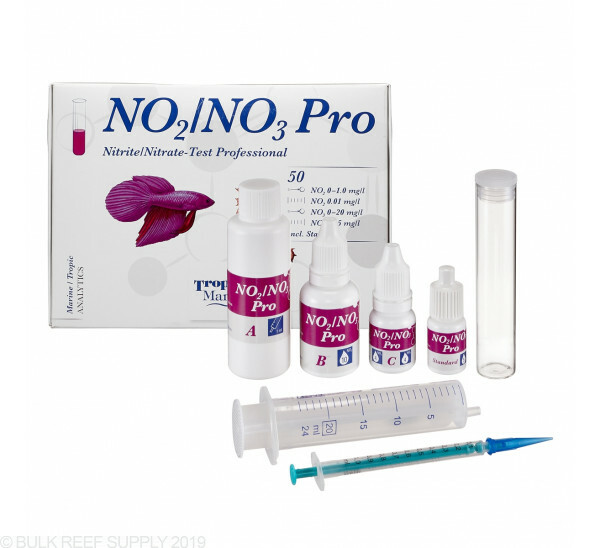 As a general rule, the nitrite concentration should be less than 0.2 mg/l (ppm) in all aquariums wherever possible. 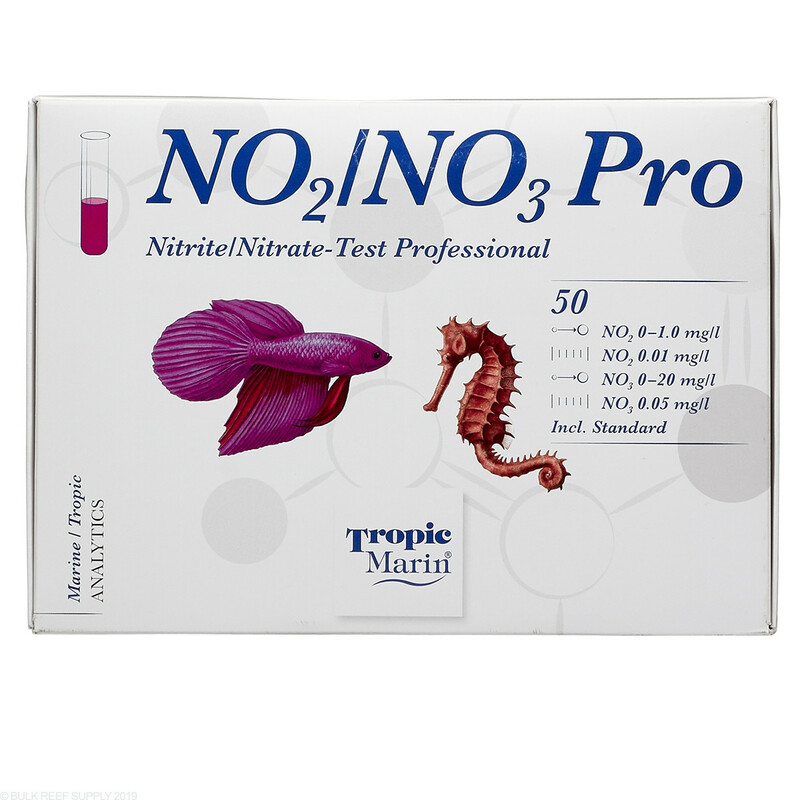 The nitrate concentration should not exceed 20 mg/l (ppm) in saltwater aquariums. 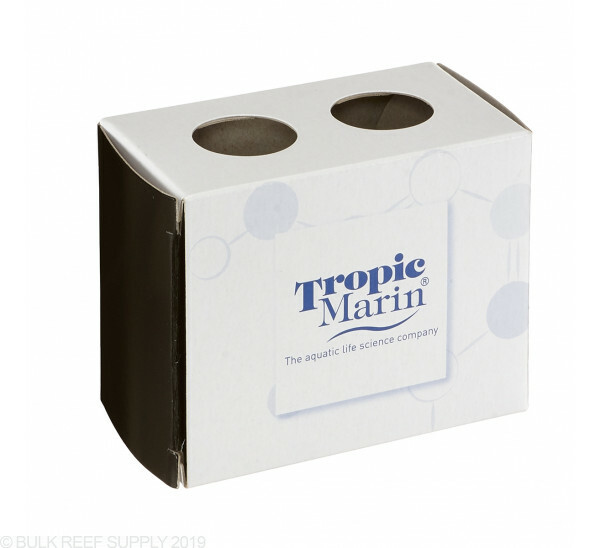 When nurturing hard corals, the aim is to keep the nitrate concentration below 10 mg/l (ppm). 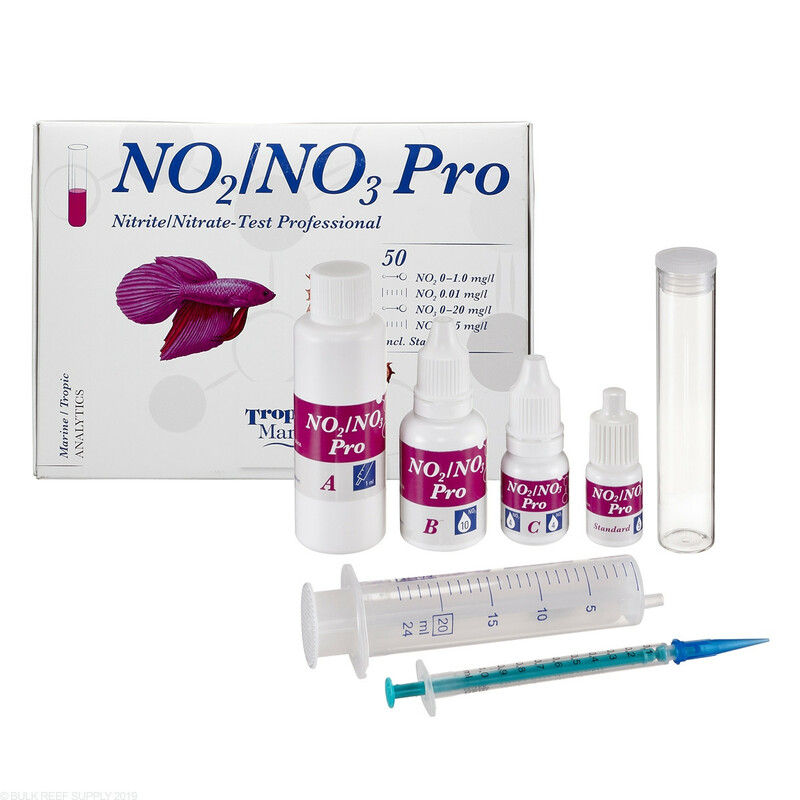 It is advisable to keep the nitrate concentration in freshwater aquariums below 50 mg/l (ppm). 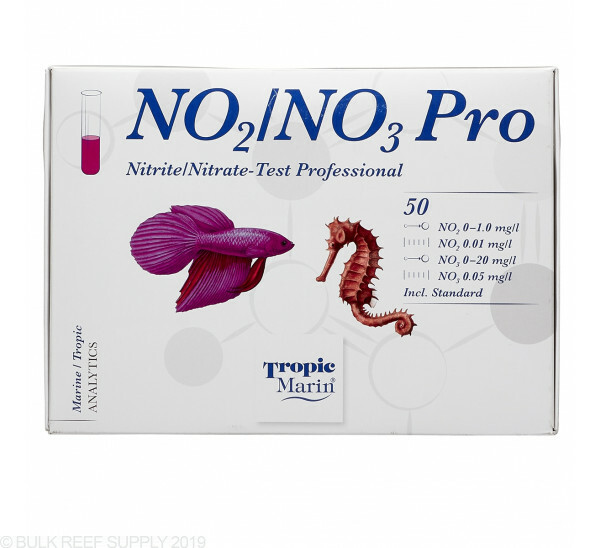 Lower limits for nitrate depend on the general conditions in the aquarium. With the Tropic Marin Nitrite/Nitrate-Test the nitrite and nitrate concentrations can be determined using a finely-tuned color chart which has a range of concentrations for nitrite of between 0 – 2 ppm and for nitrate of between 0 – 50 ppm. 1. Shake the dropper bottles before use! 2. 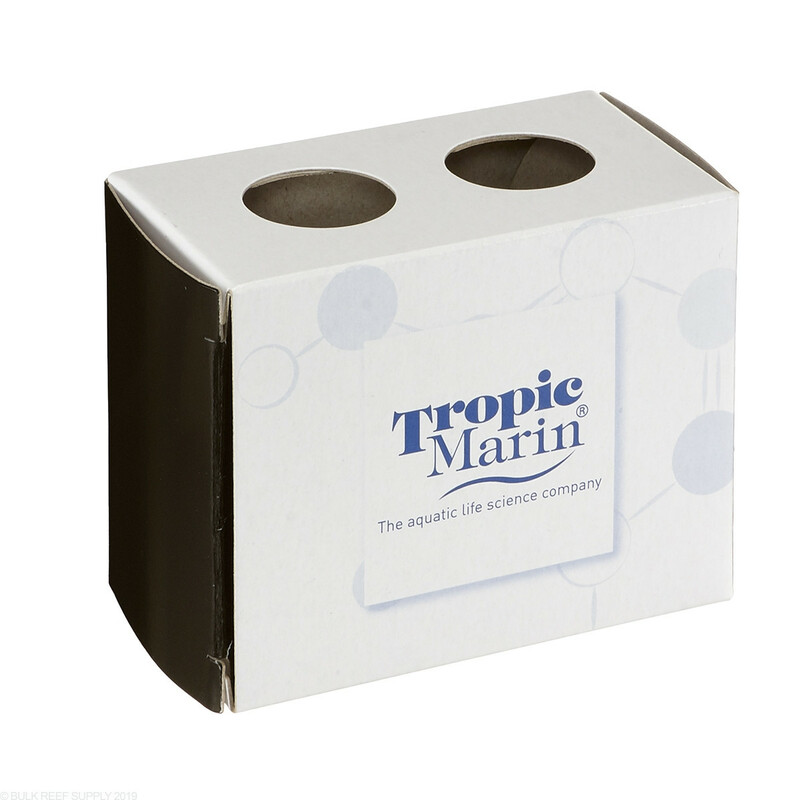 Rinse out the glass cuvette with tap water and then several times with aquarium water. 3. 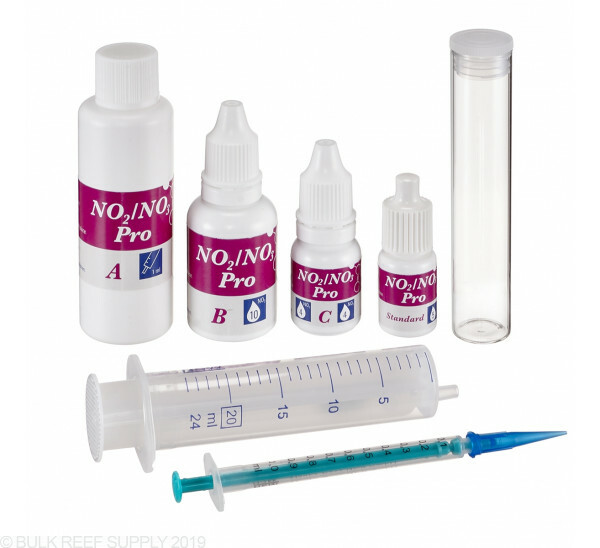 Fill the glass cuvette with exactly 5 ml of aquarium water using the dosing syringe. 4. 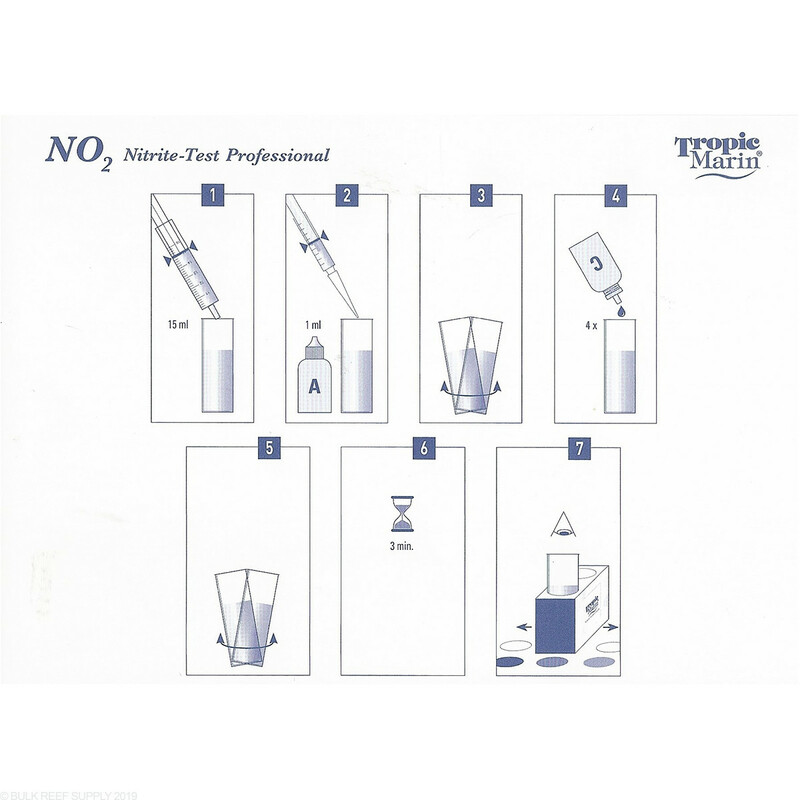 Add 5 drops of test reagent A, close the glass cuvette using the stopper and briefly shake the solution. 5. Add 2 drops of test reagent C, close the glass cuvette once again and briefly shake it. 6. 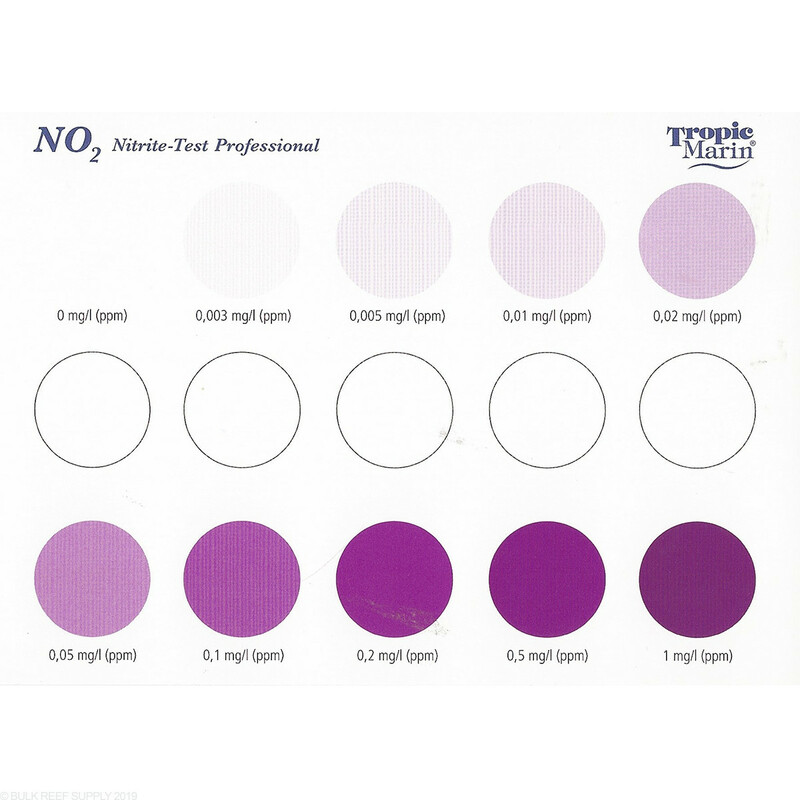 After 3 minutes of development time, place the glass cuvette on the white circles of the nitrite color card and compare it to the opposing color fields by daylight conditions. To do this, look into the open cuvette from above. Move the sample on the color card until the cuvette and the color field match exactly. If the colors do not match exactly, an intermediate value can be estimated. 7. Read off the measured nitrite value under the relevant color field. 4. 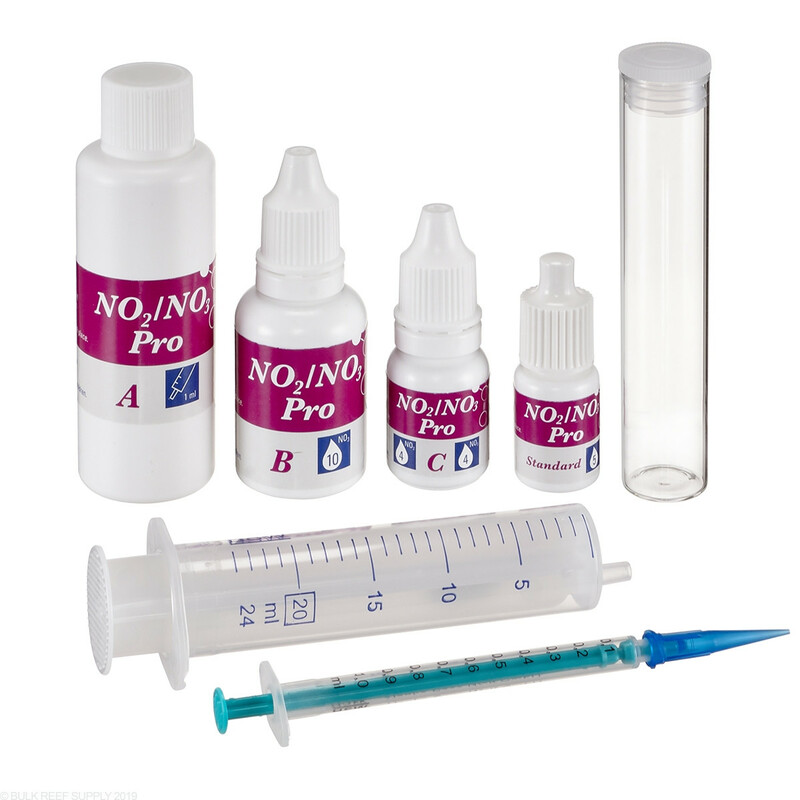 Add 10 drops of test reagent A, close the glass cuvette using the stopper and briefly shake the solution. 5. Shake the bottle with test reagent B vigorously in a horizontal direction for approx. 30 seconds (the reagent must be well-shaken). Then add 10 drops of test reagent B, close the cuvette again, shake it briefly and set it aside. 6. After 3 minutes of development time, add 4 drops of test reagent C, close the glass cuvette once again and briefly shake it. 7. 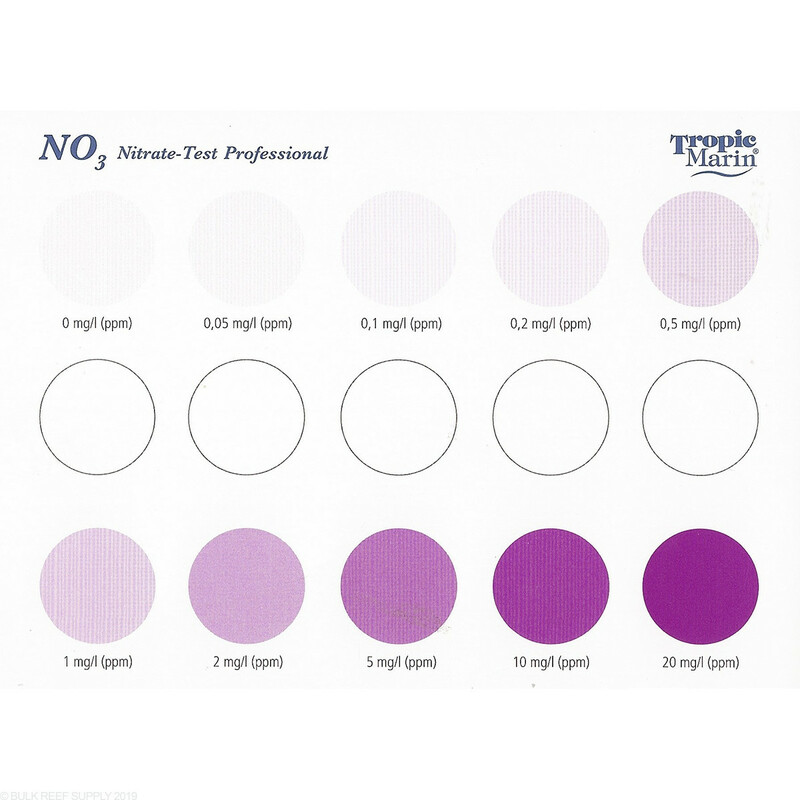 After another 3 minutes of development time, open the test cuvette and place it on the white circles of the nitrate color card and compare it to the opposing color fields by daylight conditions. To do this, look into the open cuvette from above. Move the sample on the color card until the cuvette and the color field match exactly. If the colors do not match exactly, an intermediate value can be estimated. 8. 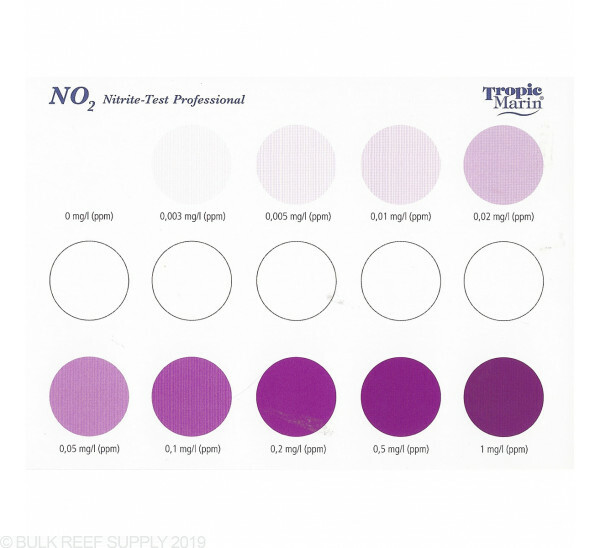 Read off the measured nitrate value under the relevant color field. Correct the result if necessary. 9. 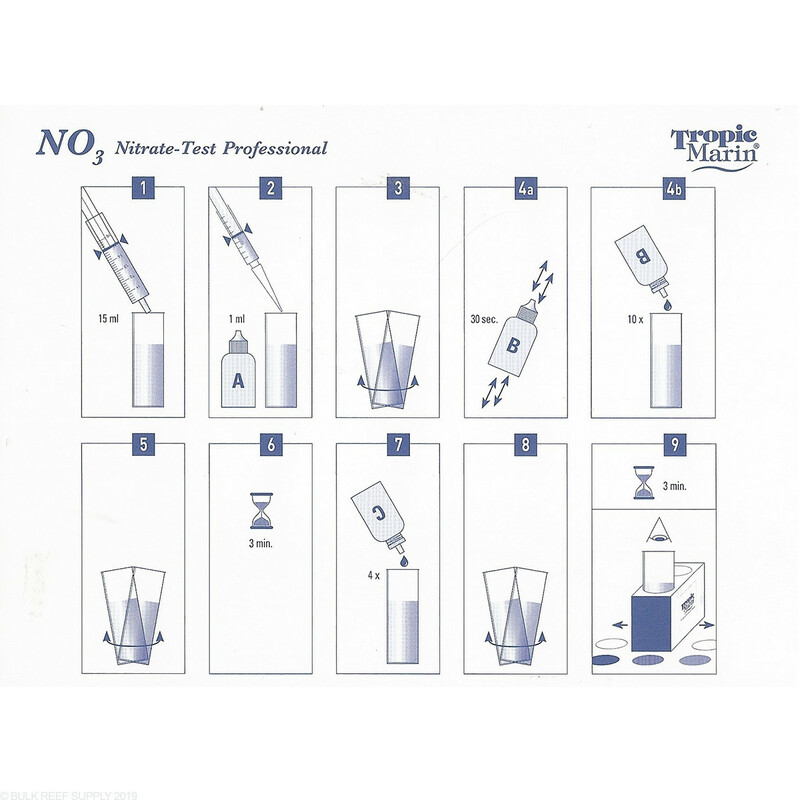 Rinse out the glass cuvette and the syringe thoroughly with tap water after the measurement process. Nitrite concentrations affect the nitrate measurement. 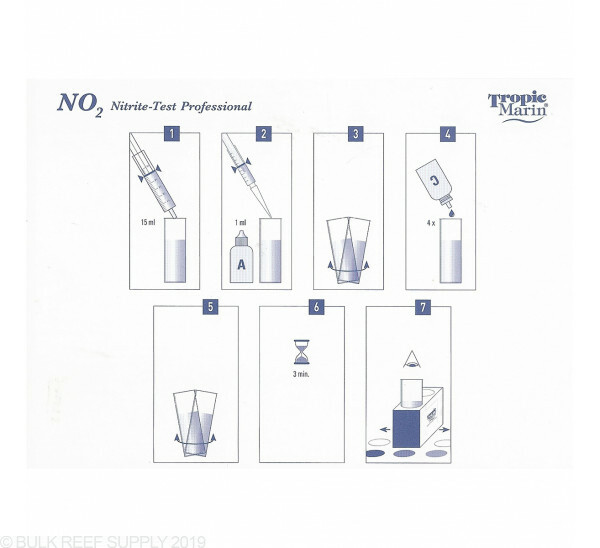 Therefore, the nitrite concentration should also be measured and, if required, the nitrate results should be corrected in relation to the table before carrying out the nitrate measurement. 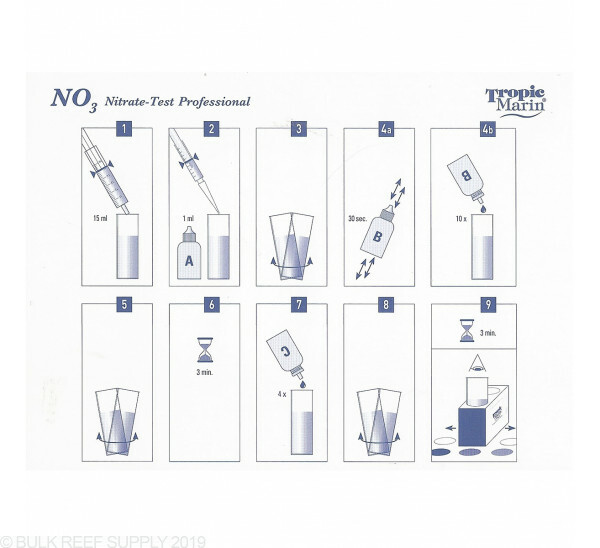 High nitrite levels are usually found in tanks that are in their maturation phase or in tanks with nitrate filters.